Automated Design: Every step of the way, we collaborate with our customers to produce 3D renderings prior to production – to ensure little downtime and less guesswork before building the final machine. 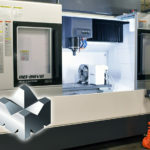 For more than 40 years, Magna Machine and Tool has been providing design and build services for a wide range of customers – from automotive and pharmaceutical, to small-workstation and large automated assembly equipment. With an intense understanding of precision, quality, deadlines and a dedication to customer service, your 2017 projects are in good hands with Magna Machine and Tool, Inc. Reply to this e-mail or click here to have us quote your projects.